Vascular and interventional radiology offers a host of diagnostic and minimally invasive treatment options that may reduce pain, recovery time, infection rates, and hospital stays commonly associated with traditional surgery. For more than 50 years, X-Ray Consultants, P.C. (XRC) has been recognized as one of the region’s premier private practice radiology groups. We now offer a complete assortment of the latest, minimally invasive IR treatments to treat a variety of medical conditions. Our new Interventional Radiology Clinic at 611 East Douglas Road, Suite 207, Mishawaka was created to provide a way for patients to meet directly with our physicians for private consultations in an easily accessible outpatient location. As part of our dedication to excellence in patient care, we offer the latest techniques for therapeutic intervention, fully utilizing the subspecialty expertise of our radiologists. In addition, we have access to the latest diagnostic imaging equipment and related services through our close affiliation with area hospitals. The following provides an overview of some conditions we treat with various IR services. As interventional radiology techniques are innovated and perfected, you can count on X-Ray Consultants to remain at the forefront of this new and exciting field, responsibly making available highly effective, minimally invasive treatments designed to improve both outcomes and quality of life for your patients. As always, our physicians are able to manage the pre- and postoperative care through the clinic to the extent requested by the referring physician. Using minimally invasive techniques, physicians restore blood flow to lower extremity arteries. Ideal candidates for this procedure are those patients with claudication, rest pain or tissue breakdown. For many patients, this procedure reduces or prevents amputation. For more information, please visit loveyourlimbs.com. These minimally invasive procedures effectively dissolve blood clots in arteries and veins resulting from thrombosis, DVT, embolism and other causes. The techniques are image-guided, include a contrast injection to help define the blood vessel, utilize clot-dissolving medication and prevent the debilitating sequelae of chronic venous stasis disease. An IVC filter may also be placed to prevent clot fragments from traveling to the lungs. Many patients experience diminished pain, reduced swelling and relief of other symptoms. Response to this type of therapy is optimal when initiated shortly after diagnosis. Kyphoplasty is an interventional radiology technique to treat fractures caused by osteoporosis. It is a minimally invasive procedure that involves the injection of medical-grade bone cement directly into the fractured bone. Vertebroplasty is a similar treatment for vertebral compression fractures that fail to respond to conventional medical therapy. As with kyphoplasty, bone cement is injected into the spine, preventing further deterioration and relieving pain within hours of the procedure. Both procedures are designed to alleviate pain caused by the fracture and to restore some or all of the vertebral body height which had been lost due to the compression fracture. The majority of patients who undergo these procedures experience pain relief quickly, with improved function commonly noted. IR treatments for spinal fractures significantly reduces pain and improves range of motion in more than 90% of patients treated. A new and less invasive technique to treat fibroids of the uterus, Uterine Fibroid Embolization is performed by placing a catheter in each of the two uterine arteries. The arteries are embolized to effectively block the flow of blood to the fibroids causing them to infarct and shrink. UFE is performed under IV sedation and is much less invasive than open surgery. Embolization may also be used to halt severe bleeding following childbirth or bleeding that is caused by malignant gynecological tumors. Nearly 90% of women who undergo this procedure experience relief of their symptoms after this procedure. However, UFE is not recommended for women who wish to become pregnant. Radiofrequency, microwave and Cryoablation are some of the image-guided techniques that use heat or cold to destroy many types of cancerous tumors. These procedures may be used in conjunction with chemotherapy, radiation or surgery. It is especially useful with tumors that are difficult to reach, have not responded to chemotherapy, have metastasized throughout the organ or in patients at high risk for surgery. Sclerotherapy is used for spider veins and milder cases of varicose veins. During the procedure a solution is injected directly into the affected blood vessels, obliterating them. Endovenous Laser Therapy, or EVLT, is a minimally invasive procedure that uses a laser fiber inserted through the skin to heat the lining of the vein. The vein eventually collapses, shrinks and disappears. This technique is commonly used to treat large varicose veins in the legs and takes approximately 30 minutes to perform. Ambulatory phlebectomy is performed under local anesthesia and involves tiny incisions through which varicose veins are removed. No stitches are required, and the patient is able to walk following the procedure. These procedures are performed at our Legacy Vein Clinic at the same location as our IR Clinic. To learn more, please visit Legacy Vein Clinic’s website. Legacy can be reached directly by calling 574.272.5347. 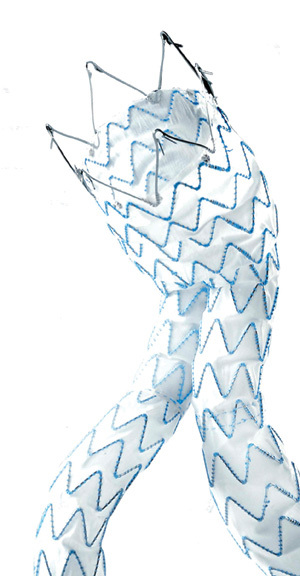 Endovascular stent grafting is performed through a tiny incision in the groin area. The graft is packaged together in a small plastic tube and using image-guided techniques, the graft is then unsheathed and expanded to bypass the aneurysm. The patient is usually able to return home the following day. The treatments and techniques offered at XRC Interventional Radiology Clinic are among the most advanced in the nation, performed by some of the most experienced and capable radiologists in the United States at state-of-the-art facilities like St. Joseph Regional Medical Center in Mishawaka and Plymouth. We are always available to consult with you to help determine if your patient is a candidate for one of our interventional procedures. For more information, or to speak with one of our doctors, please contact us.